More and more, credit unions are offering personal financial management (PFM) tools to their members. PFM gives your members on-demand tools that help them manage their banking relationships all in one place. Empower your members with the knowledge of their entire financial picture and engage them in a way never before possible. The average consumer accumulates multiple financial relationships over time. With PFM, you will see where else your members bank, borrow and invest, giving you opportunities to create additional relationships. PFM uses account aggregation, which involves compiling data from your members’ additional financial relationships – even if they come from sources outside of your credit union. This can include additional bank accounts, CD’s, IRA’s, credit card accounts, brokerage accounts and other consumer or business accounts and presenting it in a single place. Did you recently change something about your business? Are you selling a new product or offering a new service? Do you want to find out if your promotions are influencing your customers? Surveys are a great way to get to find out what your customer is really thinking and OSG can help. 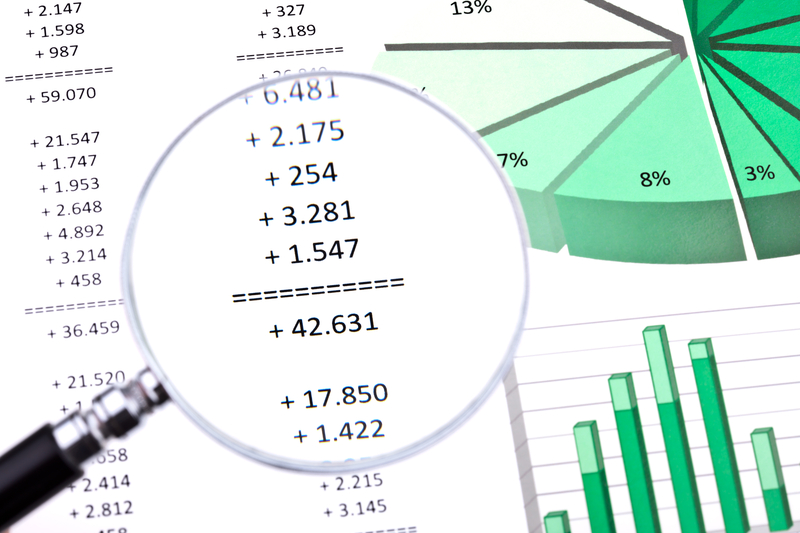 To obtain more insight on members’ attitudes towards their monthly credit union statements, OSG recently conducted an informative survey with Sales Engine International (SEI) to validate the significance of the monthly statement as a communication tool. 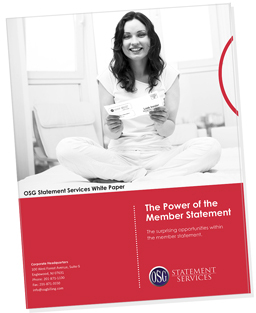 OSG discovered that the credit union monthly statement is being opened and read by a whopping 73% of members. Members not only read it but spent more than two minutes reviewing it. that member statement as a marketing tool to sell other services and provide new information to their customers. Surveys are a great way to get to know customer attitudes, behaviors and concerns. OSG’s Marketing Services Team is available to help you survey your customers through email, invoices or statements, or direct mail pieces.